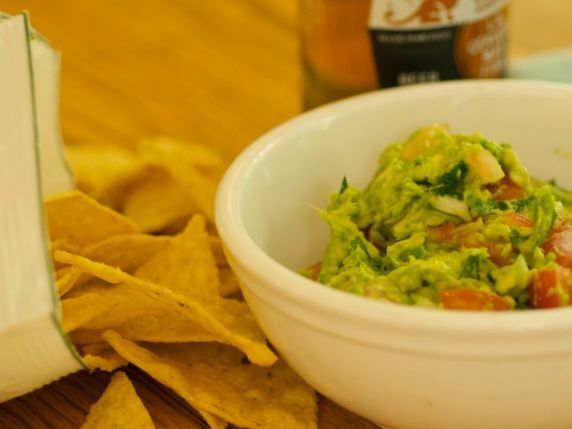 Given that this, along with some blue corn chips or a warm tortilla, might be your dinner, this guacamole has a bit more tomato than normal, making it a bit more salady. Chop the onion, cilantro, and the chile with ¼ teaspoon salt to make a rough paste. Peel and mash the avocado with a fork, keeping it chunky. Add the onion mixture and tomatoes, season with half the lime juice, then taste and add more, if needed.